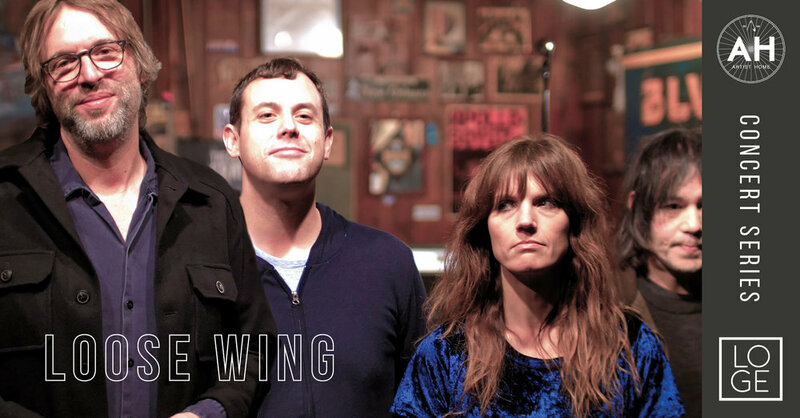 Seattle band Loose Wing's sound is a swirling blend of psychedelic Americana and old-school college rock, dark and haunting yet rooted in indie-pop tradition. Songs are written by Claire Tucker, whom you may recognize as guitarist and vocalist from local psychgaze mainstays Black Nite Crash. Claire is joined by her husband Jack Peters (Mindie Lind, Battle Hymns) on bass, and the lineup is filled out by local greats Rusty Willoughby (of Flop, Pure Joy, Cobirds Unite) on drums and Bill Patton (Fleet Foxes, J. TIllman, Gold Leaves) on pedal steel and guitar. The songs are informed by a broad history of rock fandom and experience as performers. Claire draws songwriting inspiration from Kate Bush, Nick Cave & the Bad Seeds, Low, Beach House, R.E.M., and 60’s girl groups. Loose Wing recently recorded several songs at Seattle studio Crackle & Pop with engineer/producer Johnny Sangster. Two tracks from this session were released this October as a 12” single.Their full-length album will be released in early 2019.